Whether you pledge loyalty to House Lannister, House Targaryen, or even the White Walkers, this collection will have Game of Thrones fans covered for the season premiere. 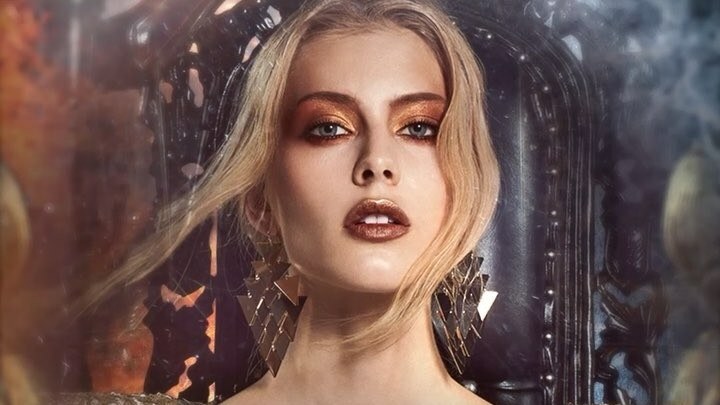 This is no game: Cosmetics giant Urban Decay has officially unveiled its Game of Thrones collection. 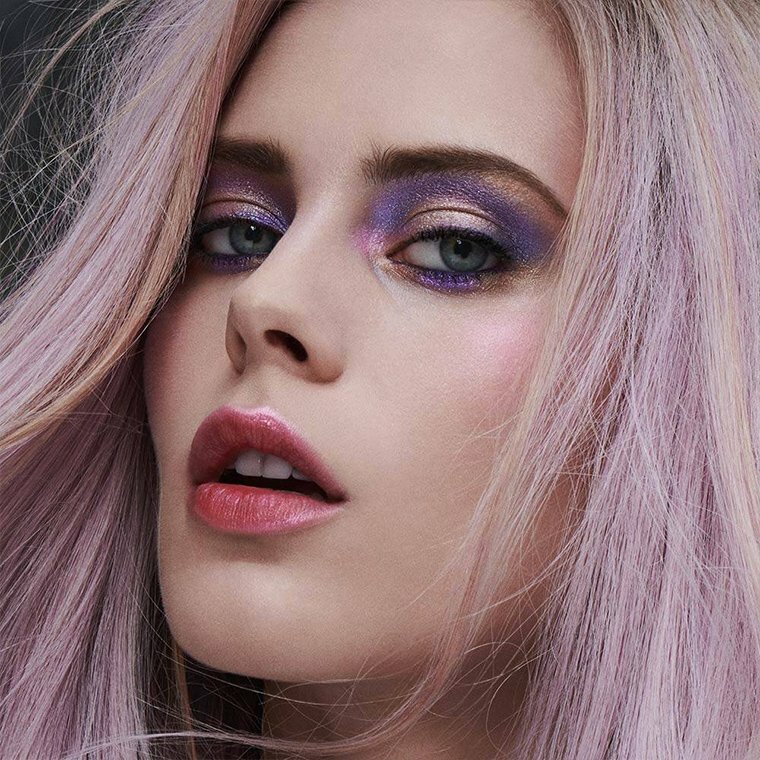 The brand known for the popular Naked palettes is launching a line inspired by the powerful women of the Seven Kingdoms. The announcement came after weeks of teasers on the brand's Instagram page, and in time for the show's final season. With 13 products, the collection gives you the tools you need to conquer evil, restore good ... and master the perfect smoky eye. Shimmer like a queen with The Mother of Dragons Highlight Palette, which features three highlight shimmers named after Khaleesi's dragons: Drogon, Viserion, and Rhaegal. The Dracarys Lip and Cheek Stain: Also the command for "dragon fire," this tint can be applied to lips and cheeks for a rosy flush. Did we mention it comes in a blood-red vial? Yes, please. 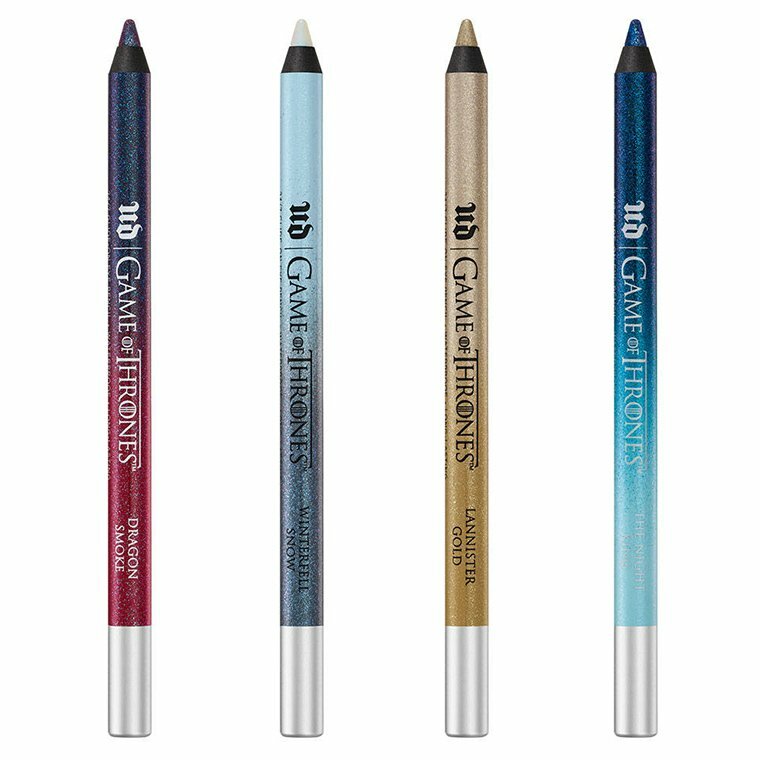 Line your eyes with the 24/7 Glide-On Eye Pencil, which comes in Dragon Smoke, Winterfell Snow, Lannister Gold, and The Night King. Vice Lipstick in the shades Cersei Lannister, Sansa Stark, Daenerys Targaryen, and White Walker will give lips a vibrant, creamy finish. Easily the big kahuna of the line is the Eyeshadow Palette, featuring 20 shades inspired by House Lannister, House Targaryen, House Stark, and the White Walkers. 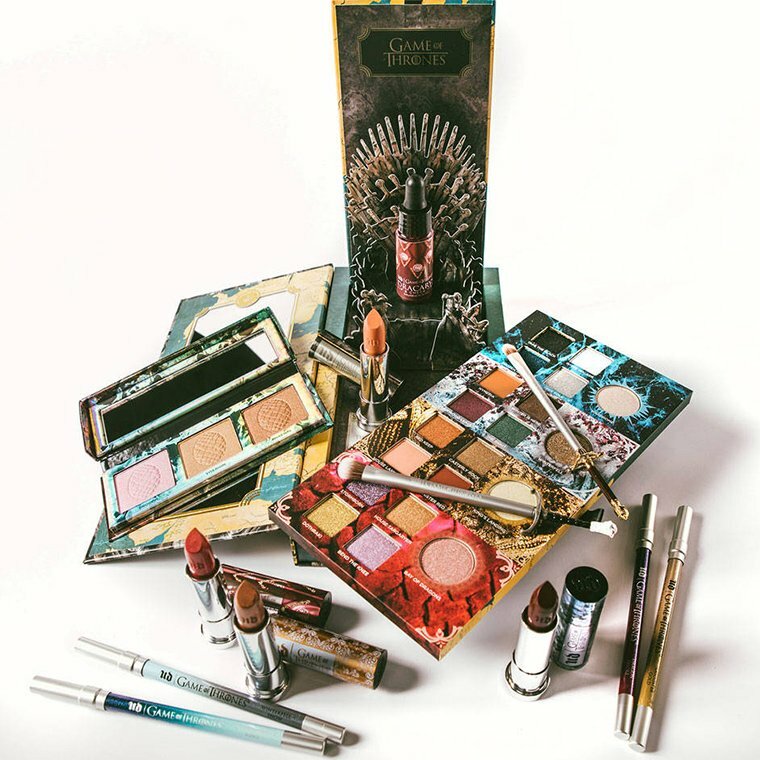 Along with the jewel tones, regal mattes, and cool-toned shimmers with names like Stormborn and Lannister Red, it also features a pop-up Iron Throne. Your vanity will never be the same again. Applying makeup can be a battle in its own right, so you'll need proper weapons for the task. Blend out your eyeshadow using Jon Snow's Longclaw Eyeshadow Brush, or for a more precise edge, Arya Stark's Needle Eyeshadow Brush should do the trick. According to the brand's Instagram, the limited-edition collection will launch worldwide on April 14. That's the same day the show's final season premieres on HBO, which gives you plenty of time to give yourself a makeover befitting any of the Seven Kingdoms. With how anticipated the show's final season is, we have no doubt this will go fast! The collection will be available at Sephora, Ulta, Macy's, and Urban Decay's website starting April 14. You can view the full line here. 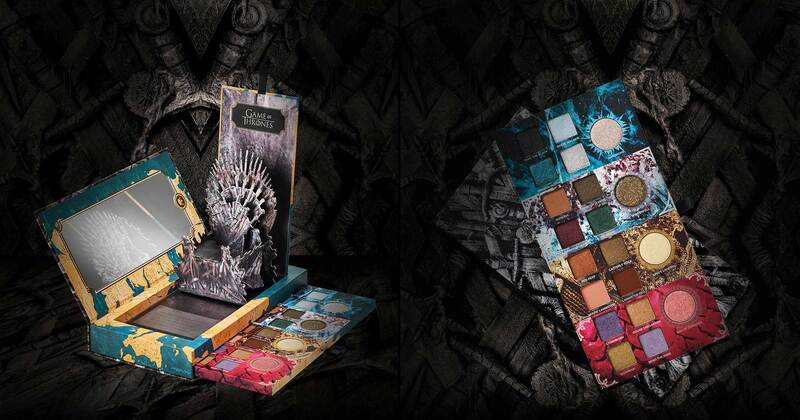 Any makeup junkies excited for the Urban Decay x Game of Thrones collection? Tell us your top picks down in the comments below! Excited for the final season? Check out the Game of Thrones Season 8 trailer here!